Dear friends, we are happy to announce that after the Mary Jane Cannabis Expo held in Berlin in May 2017, we will be visiting Germany again. 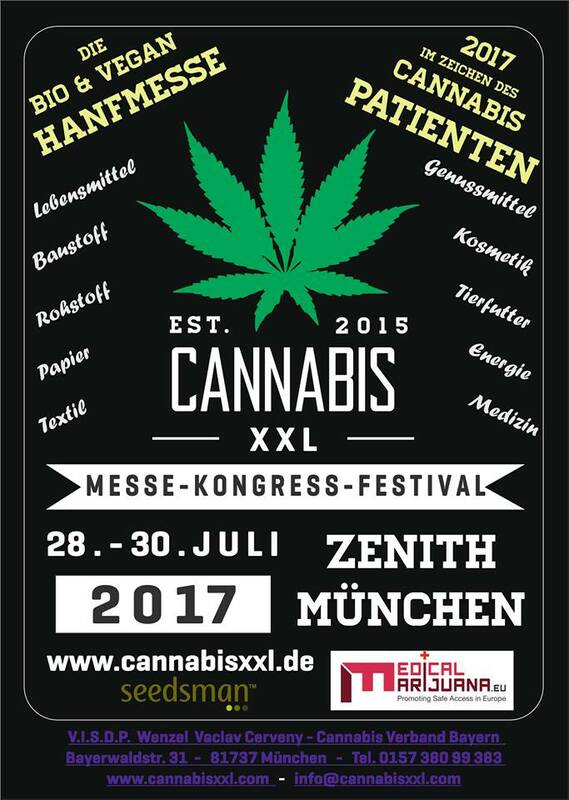 This time for the Cannabis XXL Hanfmesse from July 28th until July 30th 2017. Both Rick Simpson and Danijela Smiljanić Simpson will hold lectures regarding the medicinal use of cannabis, particularly in the form of Rick Simpson Oil. There will also be a separate lounge area where visitors will have a chance to meet Rick and Danijela and speak to them in person. Also, there will be a book stand where you will be able to purchase both of Rick Simpson's books, 'Phoenix Tears - The Rick Simpson Story' (English edition), as well as Rick's second book 'Rick Simpson Oil - Nature's Answer for Cancer' (German edition i.e. Rick Simpson Ol - Die Antwort der Natur auf Krebs'. Those who buy the books will also have a chance to get it signed by Rick Simpson himself. More information about the program will soon be available at the event website. Follow us on Instagram for inspirational quotes, wisdom and positive thoughts. Here you can see pictures from events, listen and watch video interviews of Rick Simpson and his Story. If you have a question about your order please send us an email. Emails will be answered within maximum two business days. Please include your home address where would you like the book(s) to be sent. All shipping costs are paid by the customer. A tracking number will be provided. Worldwide express delivery provided by DHL Express. At our web site, you can open your account to buy book(s), and/or you can subscribe to our newsletter. We respect your privacy, so we will not sell, transfer or otherwise disclose your personal information to third parties for any reason. The form for entering payment data is secured by an SSL transmission cipher of the greatest reliability.